White House Meats: Read Up on the Meat-Up! When it comes to food, Seth Cooper knows that process matters. He embraces the “Fresh, Local, Seasonal” ethos and he even makes his own cheese. But he found himself frustrated over and over again as he tried to bring that mentality to meat. From 2006 to 2008, Cooper lived in England and enjoyed farmers’ markets right on his street where butchers would bring freshly dressed cuts of meat to sell. He loved the freshness and the more assertive flavor of the grass-fed beef. He could ask questions about the differences between breeds of cattle and even between different steaks taken from the same animal. Upon arrival in Washington, he found a kindred spirit in Jon Wrinn. Together, the two engineers sought to tear down all the barriers that the meat industry has built up between the farm and the fork. They visited butcher shops and market stalls trying to find knowledgeable purveyors offering top-quality local meats, but they found that combination in short supply. They even toyed with the idea of butchering their own animals before buying a cow and splitting it among a group of friends. They felt so strongly about what they were doing, they traveled to Penn State’s Meat Laboratory to take classes regarding the regulations and procedures governing small-scale butchering operations. Thankfully, they came to the conclusion that they couldn’t be the only ones who were looking for this, and so they’ve set out to make it easier for others. Thus was born White House Meats. 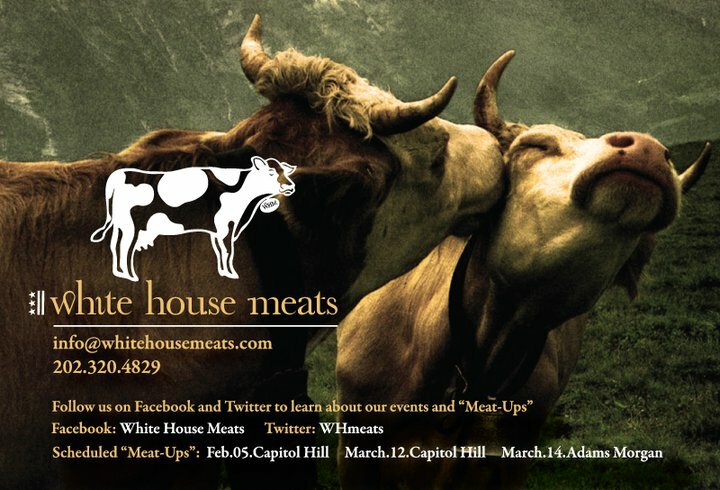 Their idea: bring grass-fed, dry-aged, locally-raised beef to Washingtonians in a way that allows them to promote the cause and have some fun at the same time. Their method: The Meat-Up. 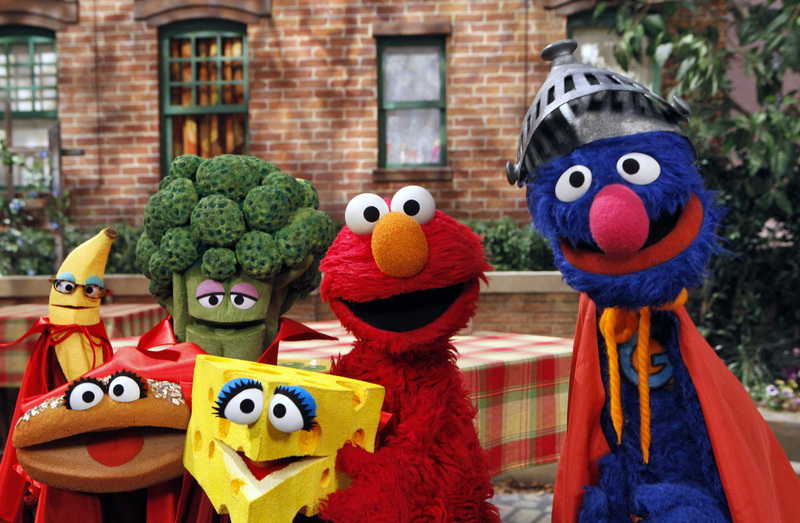 Eating Well on a Budget, According to… ELMO! While the blessed and food-obsessed among us are craftily plotting how to be even more selective about what we eat in 2011, nearly 17 million American children (roughly one in four) are “food insecure,” meaning they do not have access to food that meets basic nutritional needs due to their home’s financial situation. It’s a sobering thought, especially next to our prattling on about local, organic, seasonal and blah blah blah privilegedcakes. In response to this challenge, Sesame Workshop – the nonprofit arm behind the classic show – rolled out Food For Thought: Eating Well on a Budget. This bilingual media outreach is designed to support families with children between the Sesame Street wheelhouse ages of 2 and 8 who have limited access to nutritious and affordable food. Elmo explains the difference between a sometimes food and an anytime food. So what is a “Super Food,” anyway? Ask anyone who has ever organized an event: it’s easy to put together the “first annual” version of something. The challenge comes with the encore presentation…what do you do to prevent your great idea from going down as a one-hit wonder? To answer that challenge, the organizers behind DC Beer Week have taken a page from Zoolander’s “old school” walk-off rules: Duplicate and Elaborate. This year, DC Beer Week will take place over the course of 8 days. It will include more than 30 bars and restaurants highlighting beers from roughly 20 breweries. And it will even feature a Craft Beer Cruise on the Potomac. Not too shabby for their sophomore outing. So what do you need to know to take advantage of so much suds-centric activity across all four quadrants of the city? Thankfully, the organizers and their partners have put together some great resources to keep track of the who, what and where of each day’s events. DC Beer Week kicks off tonight at the Rock n’ Roll Hotel on H Street, NE, with a very special episode of DC Nerd Nite. Check out Greg Engert, Neighborhood Restaurant Group’s resident beer guru, and other experts as they geek out on topics that address the history, artistry and science of beer starting at 6:30, then stick around for a “rock & barley” show that celebrates the close relationship between beer and music. Tickets are $10 for one show or $16 for both. Washington City Paper, which has partnered with DC Beer Week to promote (and in some cases sponsor) the festivities, is here to help. Or at least The Lagerheads are. They’ve got every announced Beer Week event on their regularly updated DC Beer Events Google Calendar, and it’s an impressive sight to see. How often do you have your pick of 5, 9, even 13 beer-themed events in one night? During Beer Week, it’s a nightly occurrence. The calendar includes details, location, time and price for each event…everything you need to take full advantage. The @dcbeerweek Twitter feed is another new addition to the Beer Week toolkit, and it promises regular updates as well as some special offers for followers. Fritz Hahn, one of the Post’s Going Out Gurus, knows a thing or two about bars and events in the District. He gives great advice with his fellow GOGs every Thursday on everything from where to find that perfect indie band to where NOT to have your bachelorette party. In honor of Beer Week, he’s put together a list of the festivities he’s most excited about. With 17 events on the list, it’s going to be a busy week for Fritz. Check out his list and see if there are a few that speak to you, too. Don’t forget – some of these events require advance ticket purchases or reservations, so act quickly if you see one you’re especially eager to check out. Know of any other useful resources to help map out your Beer Week strategy? Let us know in the comments section. We’re looking around for a Beer Week map…if we can’t find one, we’ll likely make one this afternoon and add it to this post. So you’re in the mood for a drink but you’re sick of your usual and the last time you mixed something creative for yourself was at that party junior year (and that didn’t go so well). You’re in luck, as that’s pretty much exactly the kind of problem that Tom and Derek Brown created the Passenger to address. 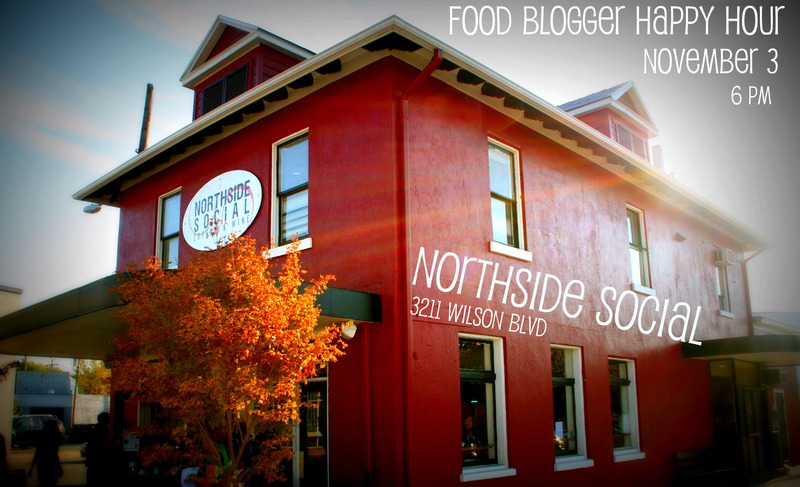 If you haven’t checked it out yet, next week is your chance to do so with thirty of your closest food blogger friends. 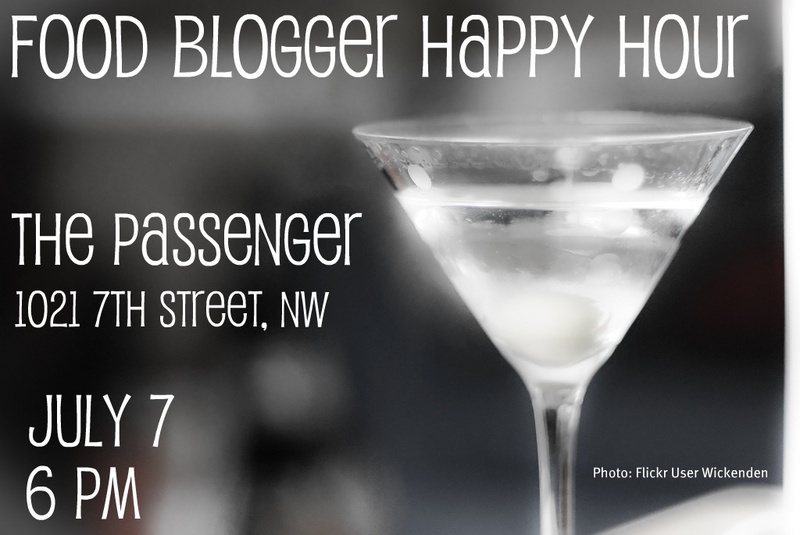 The eleventh installment in our monthly DC Food Blogger Happy Hour series will take place on Wednesday, July 7th at the Passenger. From 6 to 8 PM you’ll be able to belly up to the bar and try some of their creative (or ultra-traditional) cocktail offerings, or tap into their vast knowledge of spirits to find your next personal favorite. This month Thrifty DC Cook has taken the lead on organizing the Happy Hour, and she promises plenty of delicious surprises for anyone who comes out to join us. We are DC food bloggers, after all. For more information on what’s in store, make sure you check out the event on Facebook. While you’re there, take a second to respond and let us know if you’ll be coming so we can give the folks at the Passenger fair warning. The Passenger is located at 1021 7th Street, across from the Convention Center just north of Mount Vernon Square. Not coincidentally, you can get to the Passenger by taking the Metro to the Mount Vernon Square / 7th Street – Convention Center stop on the Yellow and Green Lines. Street parking is available – but limited – in the nearby area. Yesterday, we presented our interview with DC native and current Baltimore chef Timothy Dean. Today, we’ve got our conversation with the only Cheftestant from this season who didn’t leave town when the cameras stopped rolling: the Oval Room’s Tamesha Warren. Capital Spice: Good morning, chef. How have you been since taping ended? CS: You’re the sous chef at the Oval Room, one of Ashok Bajaj’s restaurants. How did he react to you going on the show? TW: Bajaj is a great person to work for – anything he can do for you, he will. He was very supportive of my participation. Introducing Baby Spice, Or What Did YOU Do Last Week? As you may have noticed from some of our posts over the past few months, we’ve been expecting an addition to the Capital Spice family. I’m proud to announce that the wait came to an end last Wednesday. We’ve now got our very own Baby Spice! So what did we do to mark the occasion? Well, we took a week off from writing, for one thing. Apologies to those of you who checked in regularly last week – we were hoping to pre-write some posts but the time got away from us. Once we got home, though, we celebrated like any foodie couple would. We reacquainted ourselves with some old friends that were off-limits during the pregnancy. I paid a visit to Cheesetique to pick up a few favorites: Roquefort, St. Andre, raw milk cheddar. 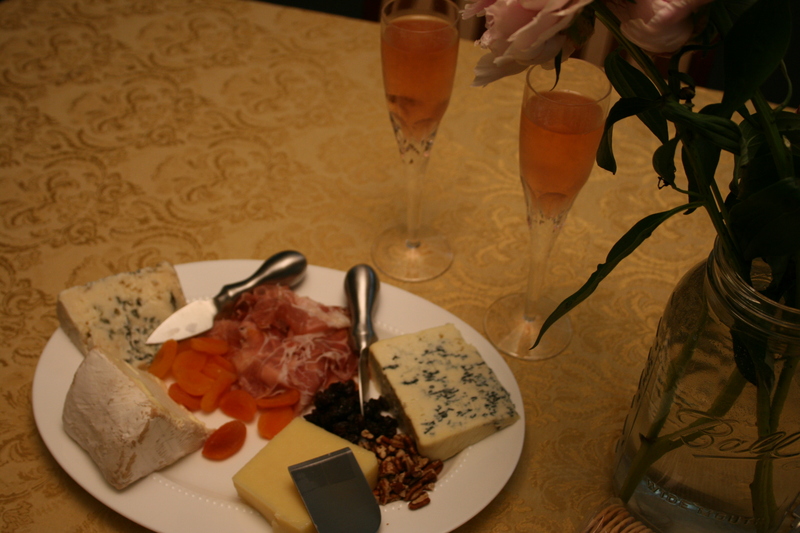 We enjoyed them with some aged prosciutto and a sparkling rosé from J Vineyards (which we visited during our trip to Sonoma last year). Elizabeth has plenty of thoughts on the subject, and I know she’ll be writing about them in the near future. And what does this mean for Capital Spice? At some point, it will mean that you’ll be able to get three opinions, instead of just two, when we check out a new restaurant. But for now, it’s business as usual. We don’t dine out quite as often as we used to, but that just makes it that much more important for us to seek out the best quality and value at restaurants both old and new – and to share them with you. You can also continue to expect plenty of recipes from our own kitchen as the local farmers’ market season heats up. And there are plenty of restaurant openings on the near horizon; we’ll be sure to provide you with information as we receive it! 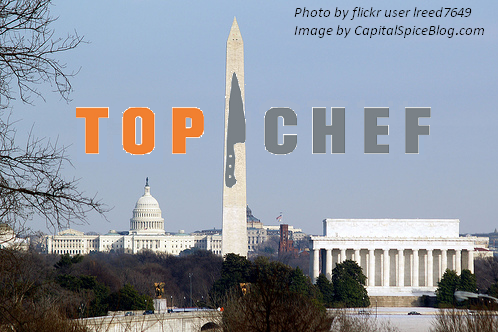 We’ll also have plenty of exciting news and insights into Top Chef DC as the new season debuts next Wednesday. As you may recall, we held a contest soliciting challenge ideas for a Washington-based season at the end of last year. 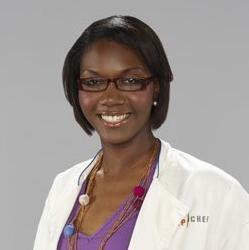 Who knew the folks at Bravo would be paying such close attention? Check in with us next week and throughout the season for cast interviews, behind-the-scenes details (we may have been invited to a taping or two…) and a regular feature for national fans of the show providing the background of what makes each challenge so uniquely DC.